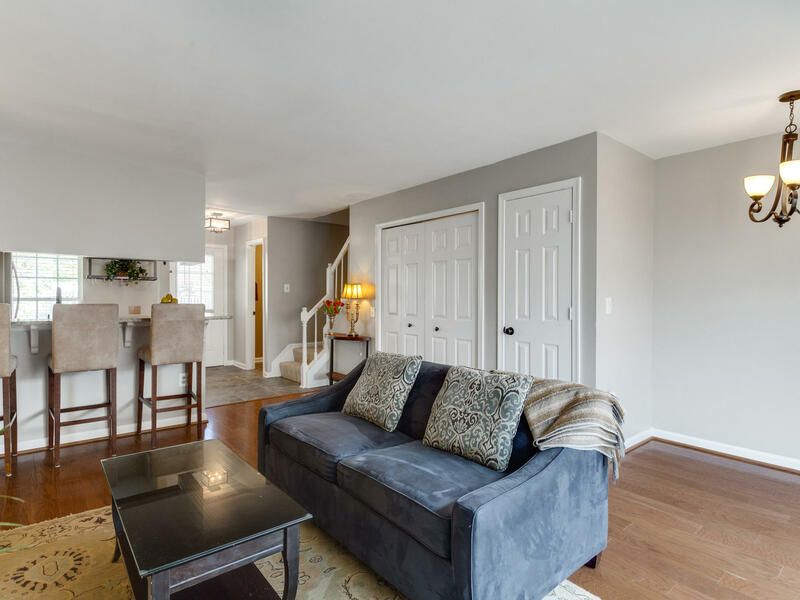 6515 Old Carriage Way Alexandria, Virginia 22315 | End Unit Townhome in Landsdowne SOLD! Immaculate townhome located in the sought after Landsdowne neighborhood! This exceptional end unit townhome was on the market just 5 days and received multiple offers. We are thrilled for our seller and the new buyer. Old Carriage sold for $360,000 which is the highest sale price for a 2 level townhome on record in Landsdowne. A big thank you to Jim Connolly with Long and Foster for such a smooth transaction! 6515 Old Carriage Way is filled with natural light and loaded with upgrades. This 2 bedroom, 1.5 bath home has modern finishes throughout and is immaculate. 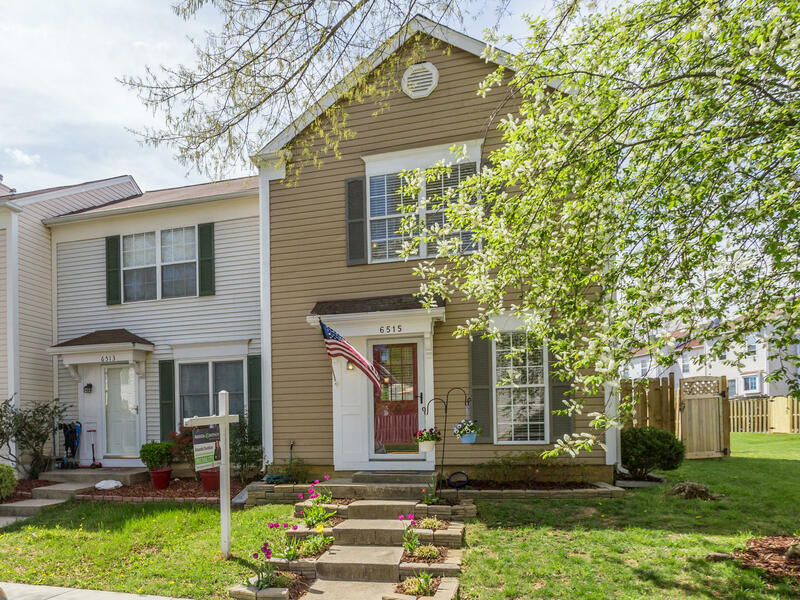 Lansdowne, a sought after neighborhood in Alexandria is walking distance from Wegmans and Hilltop Village Center and minutes to metro, 495, 395, and Fort Belvoir. 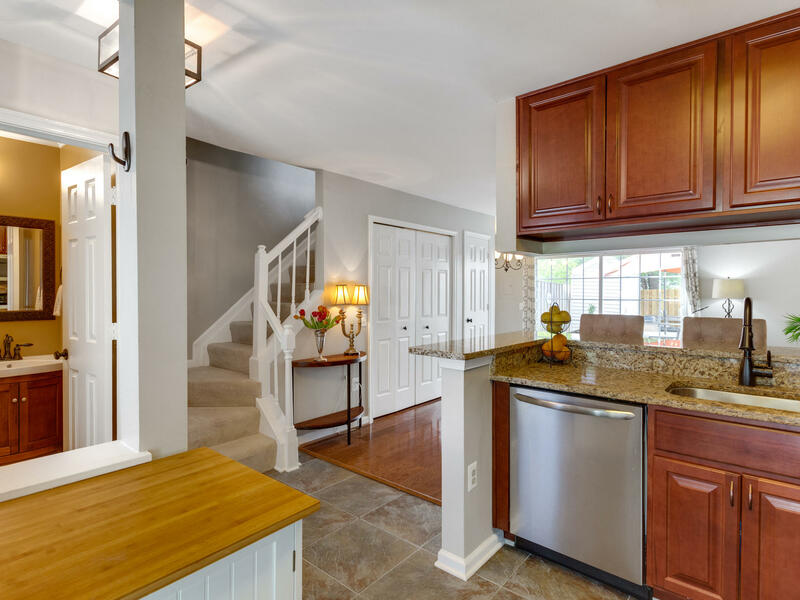 The updated and modern kitchen features custom cabinets, granite countertops, gas cooking, butcher block, and pot rack. Hardwood floors gleam throughout the main level. 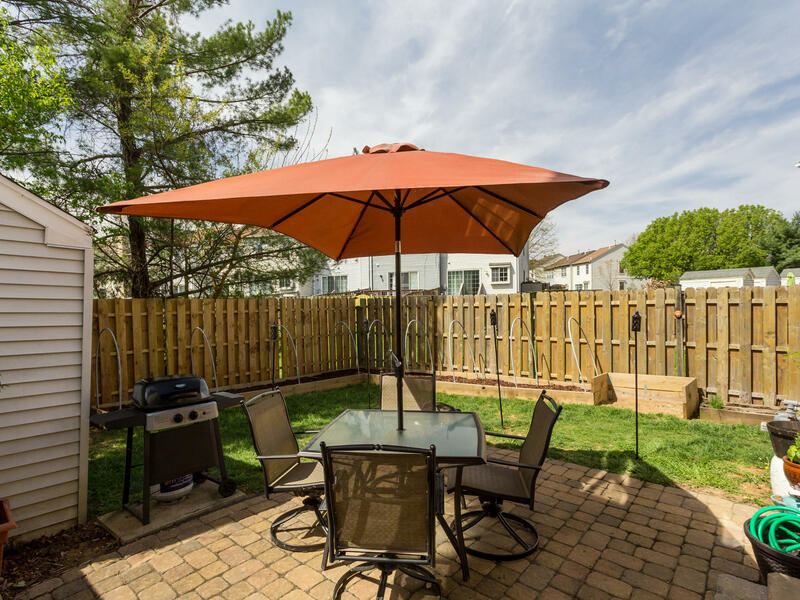 Step into the large fully fenced backyard and enjoy a custom patio, storage shed, and garden beds. 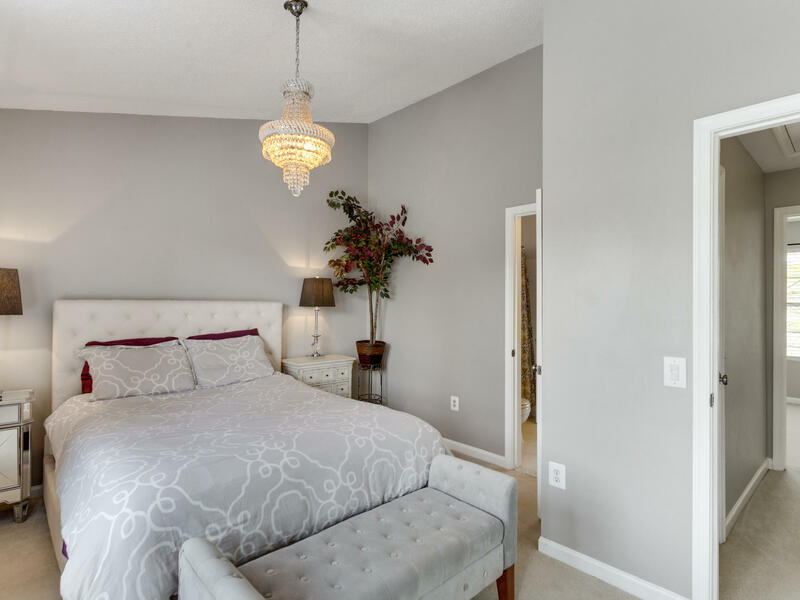 On the upper level you’ll find two spacious bedrooms with vaulted ceilings and a Jack and Jill full bathroom. 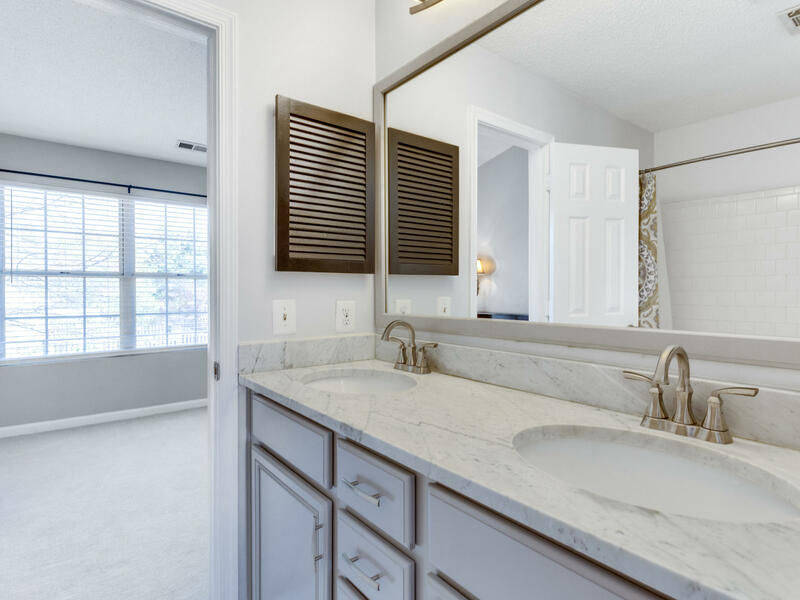 The bathroom has been completely updated featuring Carrera marble and dual vanities. Landsdowne is the definition of location, location, location. Walk to shopping, dining, and everyday needs. Residents in the neighborhood enjoy use of an outdoor pool, walking trails, and sports courts. Looking to sell your Landsdowne home? We’d love to help you achieve similar results. Reach out to us with questions or to learn more about our marketing.